Yanawana Herbolarios is composed of a team of uniquely skilled volunteers who collectively embody the spirit of the Yanawana Herbolarios mission. With expertise in clinical herbalism, herbal medicine making, permaculture, homesteading, survival skills, first aid, and off-grid engineering, our team is equipped to attend to the needs of the communities we serve while sharing these skills to help create the communities of tomorrow. Yanawana Herbolarios is Indigenous founded and Indigenous led by a group of accomplished women, all with varying Indigenous backgrounds, who passionately serve the community and the Yanawana Herbolarios mission. Maria is a clinical herbalist, apothecarist, community educator, activist, singer-songwriter, wife to a sweet and supportive husband, and mother to a clever and magical daughter. 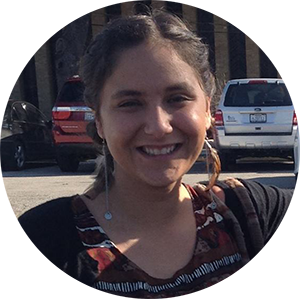 Maria has been actively involved with her community in one capacity or another since her youth. She is passionate about earth stewardship, free/low-cost/accessible community healthcare, and decolonization. Maria has 20+ years experience in herbalism and her professional work experience includes setting up and running clinics in off-grid, rural, and urban environments, clinical work as a clinical herbalist and apothecarist, and creating community relationships. She also has significant experience with youth education, ages 3 through 18 years of age, with a special focus on youth with behavioral and mental health issues and trauma. Maria founded Yanawana Herbolarios to address unmet needs in the areas of healthcare and preparedness within the underserved communities of Wilson and Bexar County. She sits on the board and serves as Yanawana’s CEO and Clinical Director. Jennifer’s professional background consists of working in sectors such as local non-profit American Indians of Texas serving as Administrative Assistant to the Director, and upper graduate higher education with Our Lady of the Lake University’s Worden School of Social Service, serving as Administrative Assistant to the Director of Masters Program. Currently, Jennifer is a Community Health Worker in the Avenida Guadalupe area of west side for the City of San Antonio’s Health Department under the Healthy Neighborhoods program. Personally, Jennifer enjoys spending time with her son Dmitri, music, long strolls or bike rides, chilaquiles tacos, good company, being civically involved to creating a more peaceful tomorrow, laughter, the playa, working with plants, yoga, learning about life through the universe, writing and a bunch more. 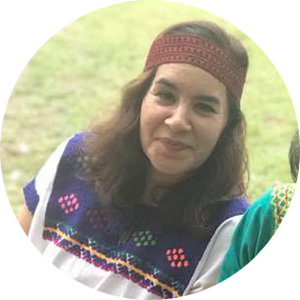 Currently, Jennifer sits on the board of Yanawana Herbolarios and she looks forward to getting to know every participant at Yanawana Herbolarios events and programs. JJ believes in creating the ‘Beloved Community’; challenging unjust power structures; and breaking barriers to access and resources. JJ acts on this intention by supporting, empowering and speaking up for birthing women and their families. JJ works as a doula for under-served families and hopes to one day become a midwife; working locally and abroad in other impoverished communities where help is needed most. JJ serves as a board member for Yanawana Herbolarios, assisting in fundraising efforts as well as strategic and events planning. Her professional experience includes working with small community non-profit organizations as well as large for-profit corporations. She has managed small-scale events as well as multi-million dollar community and research projects. JJ has written analysis papers for USAID and collaborated on international development project proposals. JJ comes from a big family – she has two children, twenty-four first cousins and thirty-two nieces and nephews. She believes everyone should have a support network, especially, the most vulnerable members of society. JJ is passionate about working with traditionally under-served populations to create a more healthy, resourceful and compassionate human race. 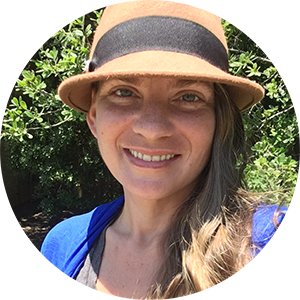 Heidi is a bioregional folk herbalist and skilled administrator from San Antonio, Texas. She is Yanawana’s COO, serves on the board, and leads the Wildcrafting Team. Heidi believes that when we come into harmony with nature and practice the skills of our ancestors, we free ourselves from the socioeconomic lashings that bind us to modern systems. Heidi is very grateful to share her passion and craft with the community, simultaneously giving others the agency to be more independent. Heidi’s professional experience in human resources, development and training have equipped her to operationally support Yanawana Herbolarios. 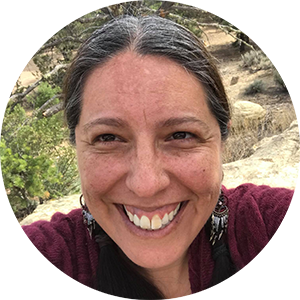 As Wildcrafting Team Lead, Heidi ensures the herbs and roots used by Yanawana Herbolarios have been harvested ethically and sustainably, with love and gratitude, and she provides guidance and encouragement to the team. Heidi has been married to an Air Force veteran for 16 years, raising two clever, joyful children to honor their heritage, give of themselves, and show the plants some love every day. She has been recognized by the US Air Force for her compassion and hard work volunteering to improve the quality of life for military spouses during deployment and life overseas with accolades such as the Angel Award and the Volunteer Excellence Award. Jerry lives on the Southside of San Antonio in close proximity to four local Missions. 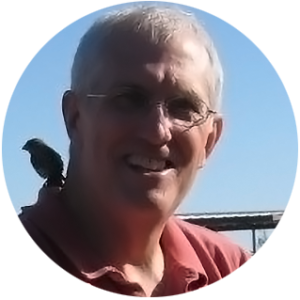 He is a practicing equine and canine massage therapist, which brings a different healing perspective to our team. In his spare time he has founded two neighborhood associations and a community garden in his area, which gives him a large network with a depth of local knowledge and needs to draw upon. Jerry became a board member after becoming familiar with Yanawana Herbolarios while attending an area workshop. Jerry’s overarching goal is to help Yanawana Herbolarios find a home base in an under-served area of town. He will use his local network to accomplish this as well be a major part of the team’s fundraising efforts. There are lots of ways that you can give back to the community. Find out how to Get Involved!